Ancient Cedars is the closest RV Park to Mesa Verde National Park and many archaeological sites and activities in the area. The Anasazi Heritage Center is the headquarters for Canyons of the Ancients National Monument and the premier archaeological museum in southwest Colorado. Visitors are encouraged to stop by the Heritage Center before heading to the Monument to get information, maps and other publications. Interpretative exhibits, films, a research library, educational resources and special programs and events interpret the history and culture of the ancestral Pueblo and other Native American peoples, as well as the historic Anglo settlers. On its way to the Monument, the Trail of the Ancients Scenic Byway conveniently passes right by the Anasazi Heritage Center. The Old Spanish National Historic Trail, a 19th century Mexican trade route, also runs through this area. The park is open year-round, but conditions can change quickly in winter. Trails could be slippery when snowy. Centuries ago the Aztec Ruins were a central gathering place, a thriving cultural capital for ancestral Puebloans. Mistakenly coined “Aztec” by others, the ancient Pueblo people lived and flourished at this very sacred and spiritual place. Today it is a UNESCO World Heritage site and landmark to the roots of civilization. Tour the three-story, 450-room West Ruin. Explore the Great Kiva and marvel at 900-year-old roof timbers that shelter intact plaster rooms. Witness exquisite masonry before passing through Mysterious T-shaped doorways. A one-of-a-kind landscape and the cherished homeland of the Navajo people. Chiseled by millions of years of stream-cutting and land uplifts, the colorful sheer cliffs of Canyon de Chelly Monument may look harsh and barren, although water sources and rich soil make them anything but. These canyons have supported human inhabitants for thousands of years, from the Ancient Puebloans who planted crops and raised families here 5,000 years ago to their descendants – the Hopi people – who cultivated peach orchards and cornfields among the cliffs. 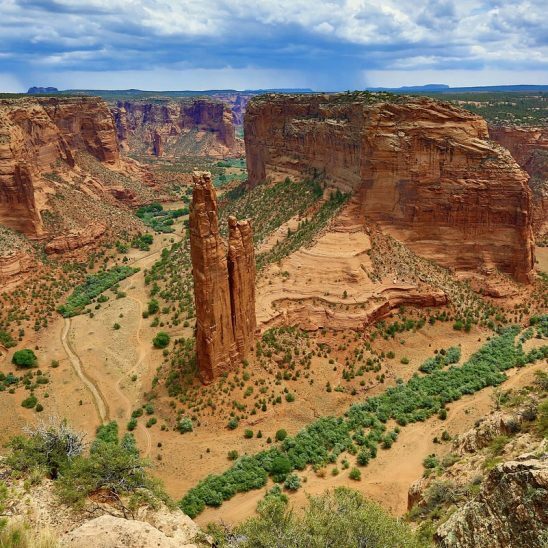 The wild landscape of the Canyon de Chelly is the park’s main attraction with meandering streams and areas of rich vegetation and steep rocky canyons. You’ll find plenty of ways. 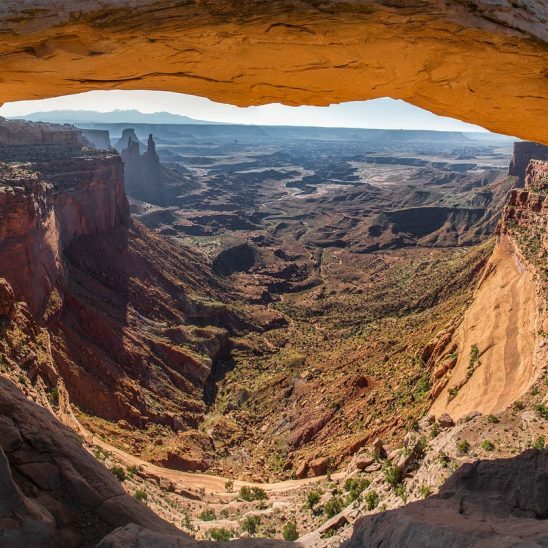 Canyonlands invites you to explore a wilderness of countless canyons and fantastically formed buttes carved by the Colorado River and its tributaries. Rivers divide the park into four districts: islands in the Sky, The Needles, The Maze, and the rivers themselves. There areas share a primitive desert atmosphere, but each offers different opportunities for sightseeing and adventure. You can explore Canyonlands on foot, horseback, mountain bike, and four-wheel drive. Canyonlands preserves the spectacular night sky thanks to low light pollution and excellent air quality. Join a ranger to explore the wonders of Canyonlands. 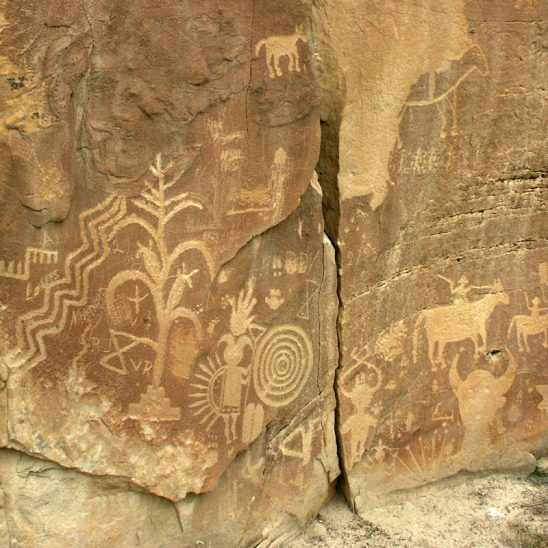 The focus of Crow Canyon’s research is research is the ancestral Pueblo occupation of the Mesa Verde region in southwestern Colorado. 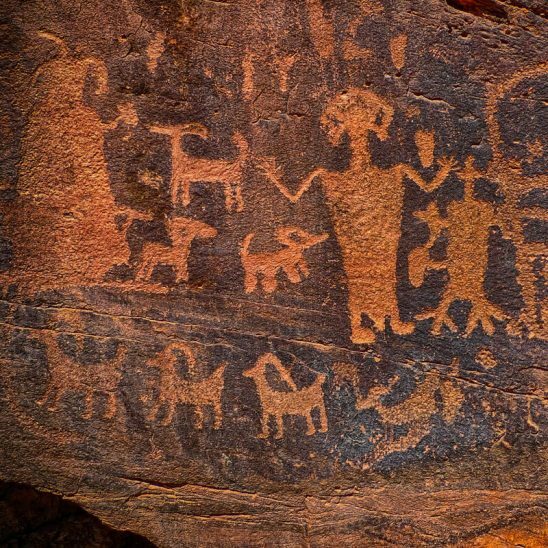 Through well-designed archaeological research-in both the field and the laboratory – Crow Canyon has contributed to some of the most important new understandings in Southwestern archaeology in more than three decades. Assisted by thousands of students and adults enrolled in Crow Canyon research program. Your Base Camp For Sight Seeing Throughout The Four Corners! 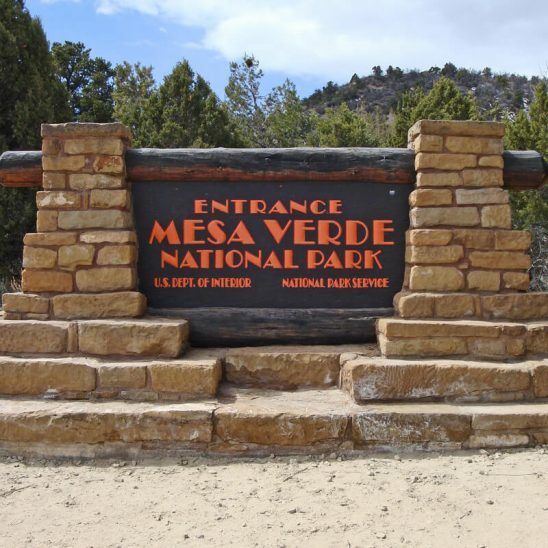 Don’t be Fooled – We’re the Closest Premium Park to Mesa Verde National Park and Ruins! Durango, Colorado was founded by the Denver & Rio Grande Railway in 1879. The railroad arrived in Durango on August 5, 1881 and construction on the line to Silverton began in the fall of the same year. By July of 1882, the tracks to Silverton were completed and the train began hauling both freight and passenger. The line was constructed to haul silver and gold ore from Southwest Colorado’s San Juan Mountains, but passengers soon realized it was the view that was truly precious. This historic train has been in continuous operation between Durango and Silverton since 1882, carrying passengers behind vintage stream locomotives and rolling stock indigenous to the line. It is family friendly ride sure to create memories that will last a lifetime while offering a view of Colorado’s mountain splendor inaccessible by highway. 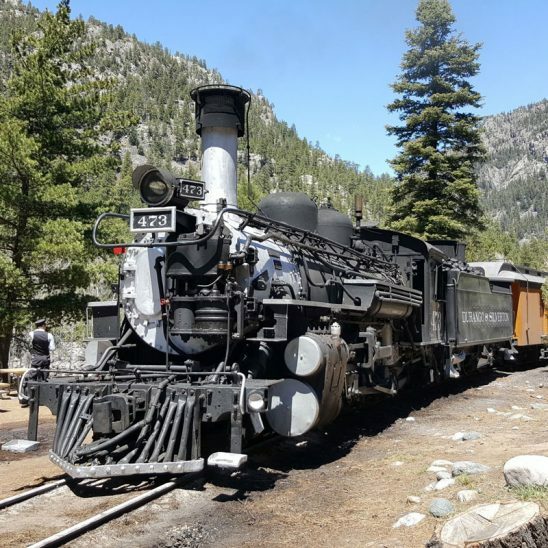 Relive the sights and sounds of yesteryear for a spectacular journey on board the Durango & Silverton Narrow Gauge Railroad. Hovenweep National Monument protects multiple 700+-year-old archeological sites spread over a large area along the Utah-Colorado border. Sites can be reached by car on paved or unpaved roads, but require walking to fully explore. A visit to Hovenweep can inspire many questions. How were the multi-story towers built? Why? What was life like here 700 years ago? Human habitation at Hovenweep dates to over 10,000 years ago when nomadic Paleoindians visited the Cajon Mesa to gather food and hunt game. These people used the area for centuries, following the seasonal weather patterns. By about A.D. 900, people started to settle at Hovenweep year-round, planting and harvesting crops in the rich soil of the mesa top. By the late 1200s, the Hovenweep area was home to over 2,500 people. 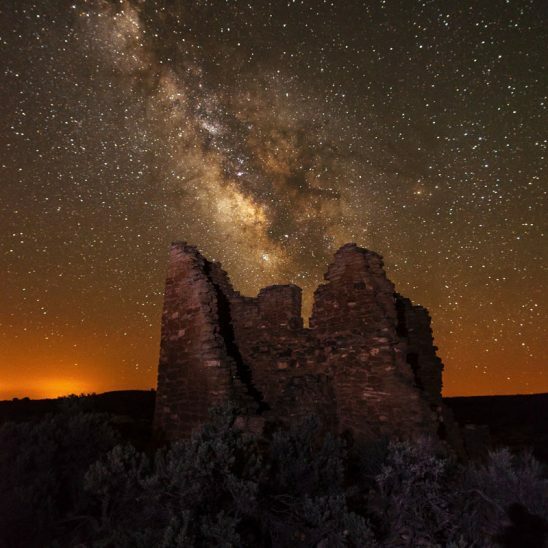 The towers of Hovenweep were built by ancestral Puebloans, a sedentary farming culture that occupied the Four Corners area from about A.D. 500 to A.D. 1300. Similarities in architecture, masonry and pottery styles indicate that the inhabitants of Hovenweep were closely associated with groups living at Mesa Verde and other nearby sites. By the end of the 13th century, it appears a prolonged drought, possibly combined with resource depletion, factionalism and warfare, forced the inhabitants of Hovenweep to depart. Though the reason is unclear, ancestral Puebloans throughout the area migrated south to the Rio Grande Valley in New Mexico and the Little Colorado River Basin in Arizona. 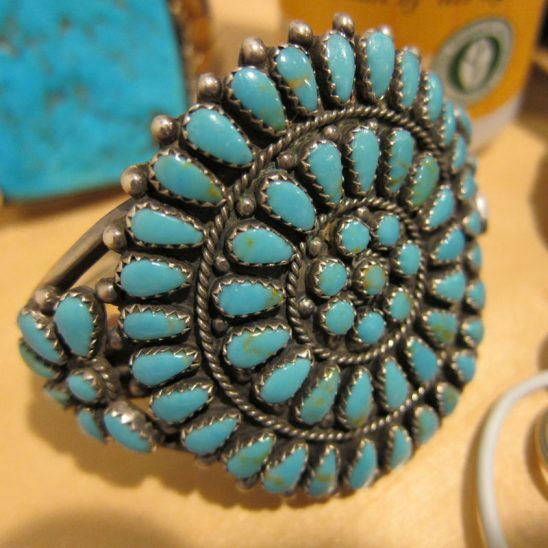 Today’s Pueblo, Zuni and Hopi people are descendants of this culture. Visit the only Utah destination where you can experience two of the Mighty Five National Parks from one convenient location. Visitors from around the world come to the town of Moab to experience sunrise over the towering depths of Canyonlands National Park and then follow it up with sunset in the otherworldly red rock landscape of Arches National Park. Moab’s year-round access to thousands of square miles of amazing red rock landscapes, along with the cool waters of the Colorado River has made it one of the most sought-after outdoor recreation destinations in the American Southwest. 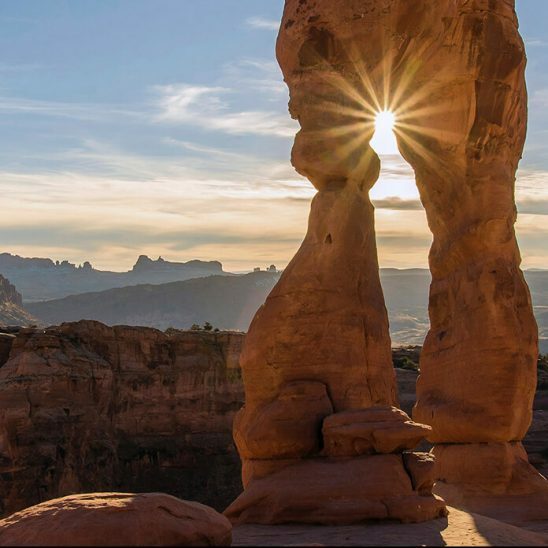 While exploring the most unique scenery in the American Southwest, visitors can relax and experience the small town hospitality of Moab. 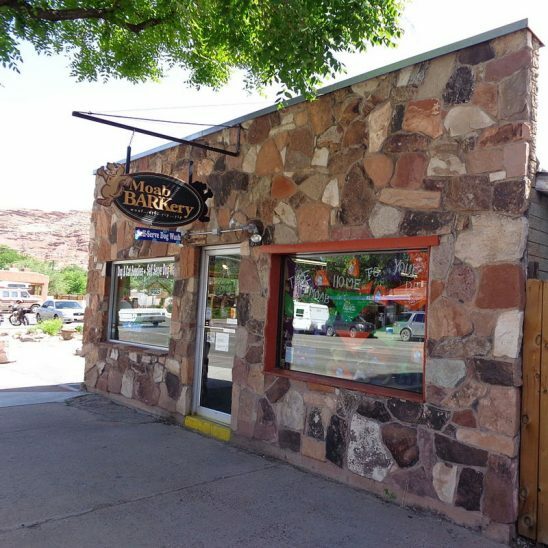 Moab’s perfect climate has made is a magnet for year round outdoor events and festivals, and the downtown district has responded with a great collection of restaurants, microbreweries, shops, and galleries. Moab’s diverse cuisine will please any palate, from regional southwestern fare to world-class gourmet. Stroll through the downtown shops for a great selection of southwestern arts and jewelry, souvenirs, t-shirts, and much more. 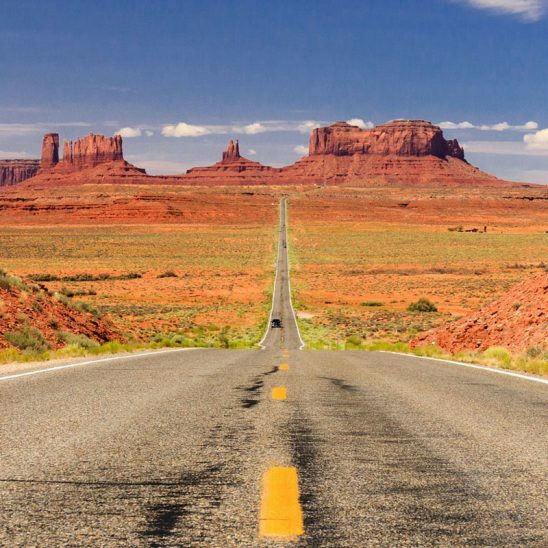 Monument Valley, Utah, an iconic symbol of the American West, is the sacred heart of the Navajo Nation and the ideal setting for your next adventure in the warm, high desert climate of southeastern Utah. In some ways, Monument Valley Navajo Tribal Park is the definitive West. Ancestral spirits infuse the rugged, disruptive landscapes that feel foreign, yet distinctly familiar thanks to Hollywood’s long love affair with this land. Enjoy hiking, jeep tours, horseback riding and stargazing in Monument Valley, some on your own, some escorted and narrated by Navajo guides. Any visit to southeastern Utah must include a visit to Monument Valley — but be warned: this remote, inspiring place demands a closer look. Visitors may explore the 17-mile scenic drive in private vehicles or book a half-day or full-day jeep tour to explore the area’s backroads and sacred lands with the help of a local guide. The valley is host to towering sandstone rock formations that have been sculpted over time and soar 400 to 1,000 feet above the valley floor. Combined with the surrounding mesas, buttes, and desert environment, it truly is one of the natural wonders of the world. Notah-Dineh’s original museum collection was started over 50 years ago, when trading posts served as the commercial and social centers for the reservation. The largest known Two Grey Hills weaving is showcased in the museum. Relics of the Old West in the exhibit include antique bits and bridles, beaded leatherwear, fringed dresses and leggings, and historic firearms. The museum is free to the public. Notah-Dineh specializes in unique Native American art including handmade Navajo rugs, kachinas, sandpaintings, cradle boards, moccasins, beadwork, sculpture, beaded baskets, original artwork, and 14K and sterling silver jewelry. 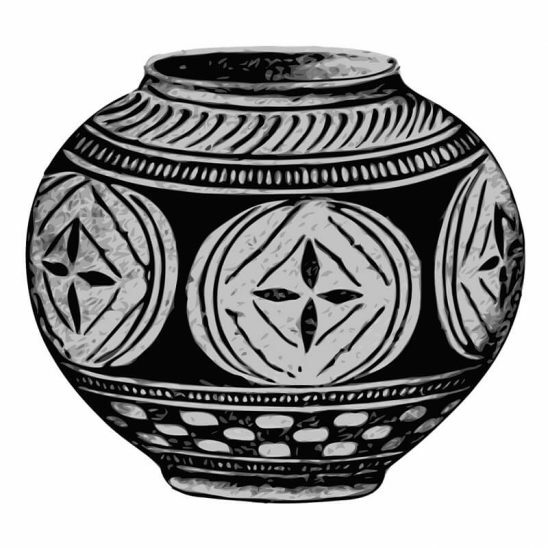 Notah-Dineh also has an outstanding collection of Pueblo pottery, along with Ute and Navajo pottery, from the tiniest collectable miniatures to detailed showpieces of today’s master potters. The Aspen Loop Trail is a multipurpose trail constructed by the San Juan National Forest and the Four Corners Trail Club. The trail is open to ATVs, motorized trail bikes, horseback riders, hikers, and mountain bikers. 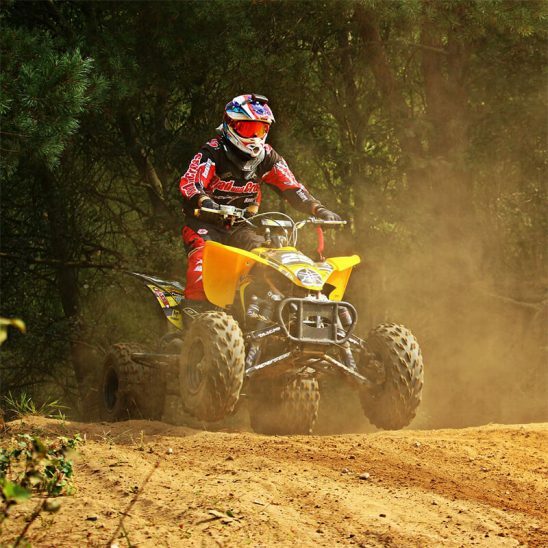 This 39-mile loop trail was designated as an ATV trail to accommodate motorized recreation enthusiasts. The parking lot is designed as a turnaround to accommodate trailer parking. Aspen Loop Trail is a 16.3 mile lightly trafficked point-to-point trail located near Mancos, Colorado that features a great forest setting and is rated as difficult. The trail is primarily used for off road driving and is best used from May until September. The Aspen Loop Trail, just 12 miles NE of Mancos, is the center of another great area to explore with ATV’s, motorcycles or side by sides. The Loop itself is 39 miles, mostly on trails for vehicles 50” or less, but it connects to a variety of FS roads that are open to side by sides. There are also a handful of technical single track motorcycle trails that connect to the area. Camping is also easy at Transfer Campground or dispersed camping along most of the roads. Housed in a 1909 historic building, the Cortez Cultural Center contains a wealth of information on archaeology and Native American culture. The Center’s Museum displays interpretive exhibits on the Basket maker and Pueblo periods of the Ancestral Pueblo people. Also featured are displays from the Ute Mountain Ute, Pueblo, and Navajo tribes. Monthly art exhibits feature local and regional artists. 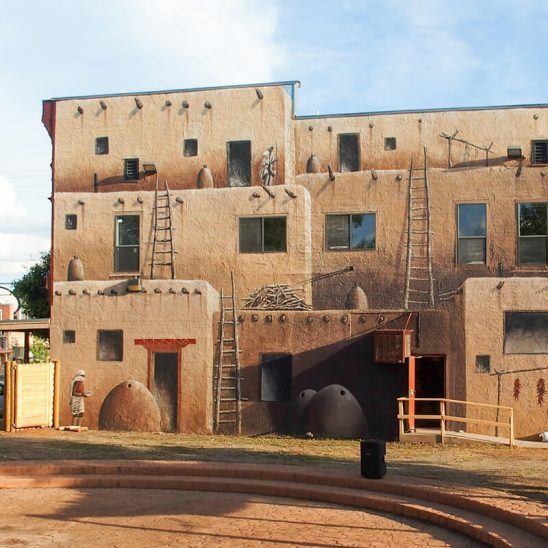 A mural on the back of the building depicts a traditional pueblo and serves as a backdrop for Native American Dances. Dances are held Memorial Day to Labor Day, Monday through Saturday at 7 pm. The outdoor plaza also features a Hogan, a traditional home of the Navajo people that visitors can enter and explore. The Center also owns Hawkins Preserve, a 122-acre natural and cultural preserve within the city of Cortez and open to the public year-round. Several trails throughout this natural desert setting give visitors the opportunity to see many diverse plant and animal species. Open 7 days a week in summer. No entrance fee for the museum or dances, donations are welcome. 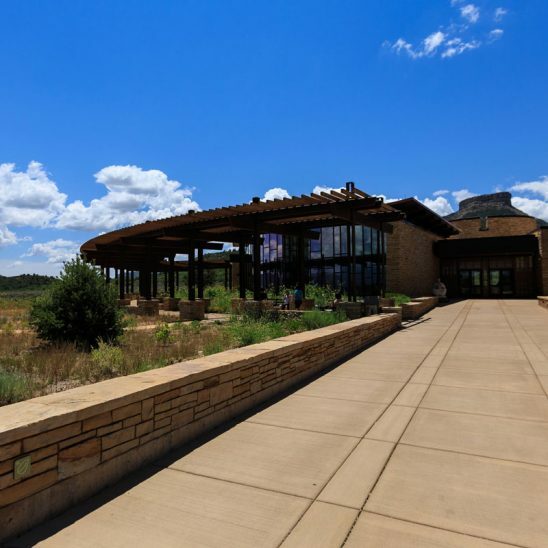 When you arrive at Mesa Verde National Park, the first thing you should do is visit the Far View Visitor Center which is open summer months (early June through Labor Day Weekend) or the Chapin Mesa Museum which is open 8am-6:30pm during the summer and 8:00am-5pm during the rest of the year. The Visitor Center features exhibits that focus on the contemporary American Indian cultures in the Four Corners area. You’ll also find books and postcards at the bookstore. From there a park ranger can help you plan getting the most out of your visit. He’ll give you the choice of visiting Chapin Mesa or Wetherill Mesa. In 2012, Travel + Leisure named San Juan Skyway one of “America’s Best Spring Drives” for its million-dollar views. Situated on the southern edge of the San Juans, the town of Durango was perfectly located for railroad interests. By the 1880s, it had become a train hub and a center of commerce. Walking tours take visitors to see saloons, the Strater Hotel (once catering to railroad barons), the Denver and Rio Grande Railroad Depot and historic homes in the Queen Anne, Greek and Spanish Colonial revival styles. Board the Durango and Silverton Narrow Gauge Railroad, a national historic landmark, for a scenic ride deep into the San Juan Mountains via steam locomotive. The canyon-clinging stretch of the byway between Silverton and Ouray is called “The Million Dollar Highway” either because it cost so much to build or the amount of gold ore that remained in the roadway’s fill. The historic town of Ouray bears the name of a Tabeguache Ute Indian chief who championed peace and friendship with white settlers in the mid-1800s. Many of the town’s mining-era buildings have been preserved. The Ouray County Historical Museum is housed in the brownstone Miner’s Hospital, which was built in 1887. The gorgeous mining camp turned vacation destination of Telluride hasn’t sacrificed the past for its future. Its national historic district downtown is well preserved with the New Sheridan Hotel and Sheridan Opera House as standouts. The Telluride Historical Museum offers self-guided tours. 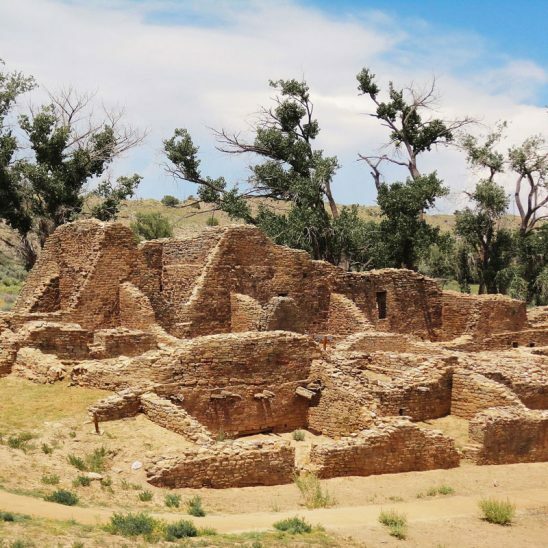 The byway eventually loops to the south and visits Dolores and Mesa Verde National Park, where the famed cliff dwellings of the Ancestral Puebloan people can be found. Many of the attractions on this section overlap with the Trail of the Ancients Scenic and Historic Byway. Note: Many parts of The Million Dollar Highway have drop-offs that lack guardrails. Check conditions ahead of time by visiting www.cotrip.org or calling the Colorado Department of Transportation at (303) 639-1111. No food or water is available in the park. No sites are ADA accessible. Park does not accept credit cards. Self-guided tours or hikes are not permitted. Tours are offered April – October. Tours begin at Tribal Park headquarters. Some tours involve rigorous hiking and climbing ladders. Round-trip drive from the Visitor Center on gravel and dirt roads is 80 miles for the full-day trip, 40 miles for the half-day trip. Half-day tours are easily combined with a visit to the Four Corners Monument. Full-day tours are the only way to visit the park’s cliff dwellings.